At the August 18th, 1988 press conference in London, Jim and his team announced a new television project, Jim Henson’s Mother Goose Stories. With characters designed by Ron Mueck, Peter Brooke and Jamie Courtier and built in the Hampstead Creature Shop, the series was directed by Brian Henson, a first for him, and produced by Roberta Jimenez Kurtz, previously a Henson publicist. The series, thirty-nine eight-minute segments (that were grouped in threes into thirteen thirty-minute episodes) were adapted by David Angus from the original Mother Goose in Prose by L. Frank Baum, creator of The Wizard of Oz. The idea was to present not just the well-known nursery rhymes but also the stories behind them. The show premiered in the UK on ITV that September 5th and in the US on The Disney Channel August 26, 1990. Jim worked with Brian and Kurtz to develop the show, but, according to Brian, the intention was for Jim to have just “peripheral involvement” once production started. Jim did visit the set in Plymouth to watch Brian direct, mostly as a proud parent rather than a collaborator, and the first thirteen segments were completed before Jim’s passing in 1990. See a sample of Jim Henson’s Mother Goose. 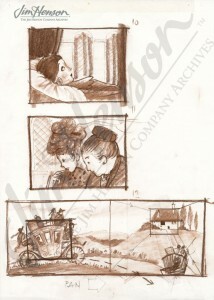 Original storyboards for “Little Miss Muffet” Jim Henson’s Mother Goose Stories. 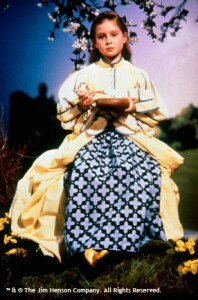 Laura Goodwin playing Little Miss Muffett. 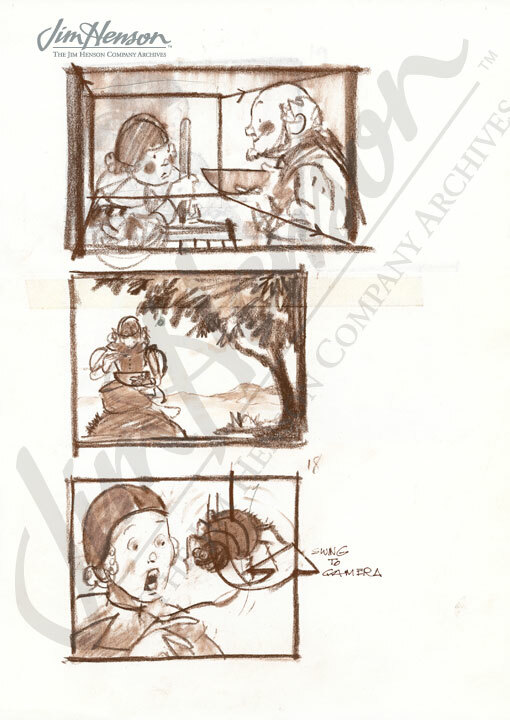 This entry was posted in 08-August '88, 1988, Mother Goose Stories and tagged Brian Henson, David Angus, Jamie Courtier, L. Frank Baum, Peter Brooke, Roberta Jimenez Kurtz, Ron Mueck, The Wizard of Oz. Bookmark the permalink.